Anyone who has embarked on the entrepreneurship journey knows the risks are plentiful. One area of risk that cannot be underestimated is your company’s information technology (IT) system: It can impact everything from data security to business performance. The rise of cloud computing has lowered this exposure dramatically. Here’s how—and why—to take advantage of cloud computing for your small business. Remote access. Storing data and files in the cloud gives business owners and employees freedom to work from any location, at any time, on any device. The cloud enables collaboration in real-time among colleagues who may not be in the same building or even the same time zone. This accessibility lowers the risk of missing a deadline or missing a sale. Flexibility to scale. Most cloud services offer flexibility to scale up and down in terms of storage capacity and users, eliminating entrepreneurs’ risk of overcommitting before the time is right, yet enabling growth without delays. Affordability. Cloud computing typically costs far less than maintaining equipment and software, and programs can be up and running quickly. That frees up more resources—money and time—to invest in the businesses. 1. Don’t drown in the options. You can find a “software as a service” (SaaS) solution for every business function —accounting, invoicing, marketing, internal communication, customer relationship management, workflow, ecommerce and video conferencing, to name more than a few. You’ll find SaaS offerings for needs you didn’t know you had. Take note: You probably do not need them all. Before you sign up for cloud services, take inventory of your operations. 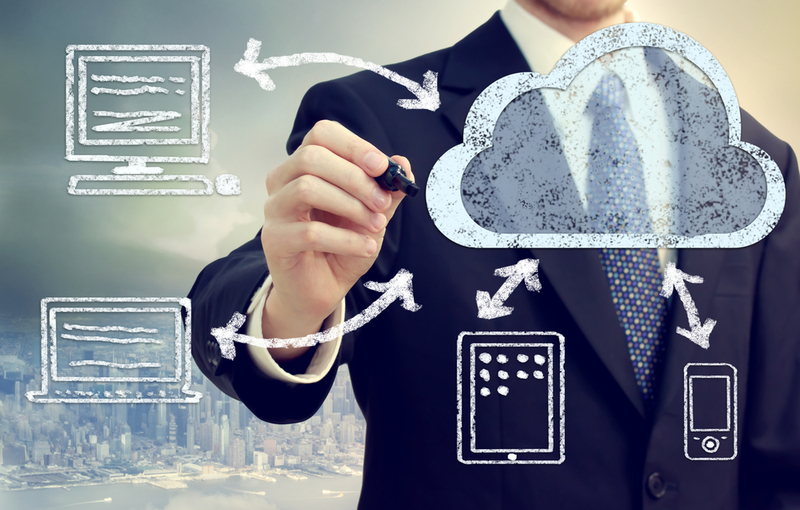 Decide which pieces of your business and workflow are well suited for cloud applications. 2. Do the math. Once you’ve identified the cloud services that can power your business, add up the costs. Many cloud services are inexpensive on a monthly basis and require no initial capital outlays. Just make sure you aren’t signing up for so many services that you rack up a bill you can’t afford. Know how your costs will rise as you add users. Consider starting with the cloud services you need most and adding more later. 3. Make sure you have the technical know-how. The beauty of many cloud services is that they are designed to be user-friendly with intuitive interfaces. Some options, however, might require more technical expertise on an ongoing basis or even just initially as you make the switch from legacy systems. Find out what tech knowledge is required for a customized cloud solution, if you need one. Also, assess what level of training your staff will need to maximize the cloud-based services you choose and plan for providing it. Your cloud vendor might offer online tutorials to help. 4. Know your vendor. Even the most user-friendly cloud service might present a challenge at some point. Maybe someone’s mobile device isn’t playing nicely, or you have questions about how to execute a nifty function and the FAQ page isn’t helping. Before jumping on board with a cloud vendor, make sure you’re comfortable with its reputation and track record. Understand how and when you can reach customer support. Read the Service Level Agreement to find out what standards a vendor promises for your business and which remedies you’ll receive if it falls short. 5. Assess your bandwidth. As you ramp up your reliance on cloud services, make sure you have sufficient internet bandwidth to accommodate the increased network traffic. If you don’t, you could end up with delays in workflow. Consider how many users you’ll have, how many devices they’ll use, and whether their work activities represent low bandwidth requirements like email, or larger demands like videoconferencing. Talk to your internet service provider (ISP) about an upgrade if you discover it’s needed. Cloud computing can have tremendous benefits for your company’s bottom line. Assess how it can best work for you, and customize a cloud solution that can take your business to the next level. Ashley Fletcher Frampton is a freelance writer and editor who helps businesses tell their stories. She covers the value of technology for today’s small businesses for Comcast Business.